When I create and style I am often inspired from just being immersed in the the surroundings that I am in. a few good pencils always on the ready I quickly capture on paper the many ideas that usually start flooding in. All of these beautiful things did!! with seed pearls and jewels. and below the Icon a beautiful caterpillar. Look at the details, the beauty and the exquisite workmanship of this little caterpillar. The wonderful mix of stones, colours and shapes. 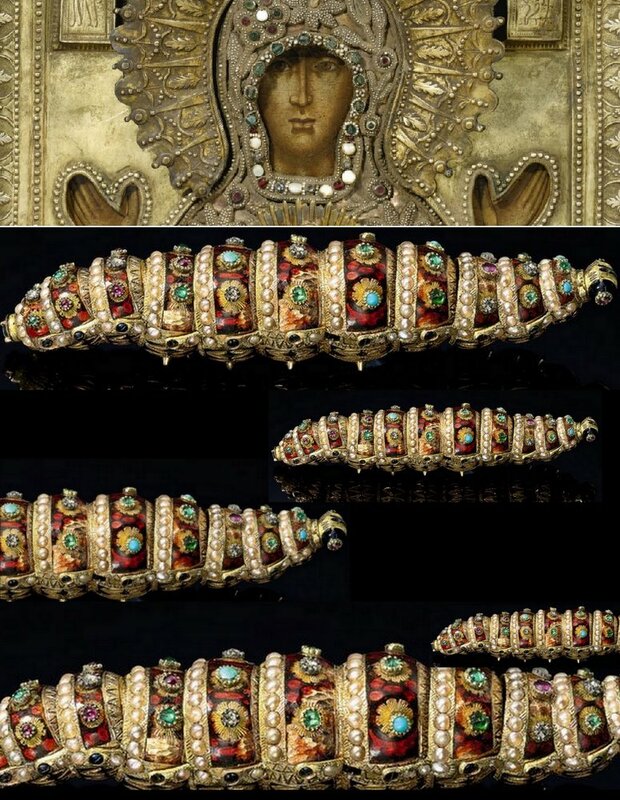 Crafted in 1820 by Henri Maillardet, this most amazing bejeweled Ethiopian Caterpillar made with diamonds, emeralds, rubies and turquoise was recently auctioned by Sothebys. and amazing patterns in a field left from our space friends. 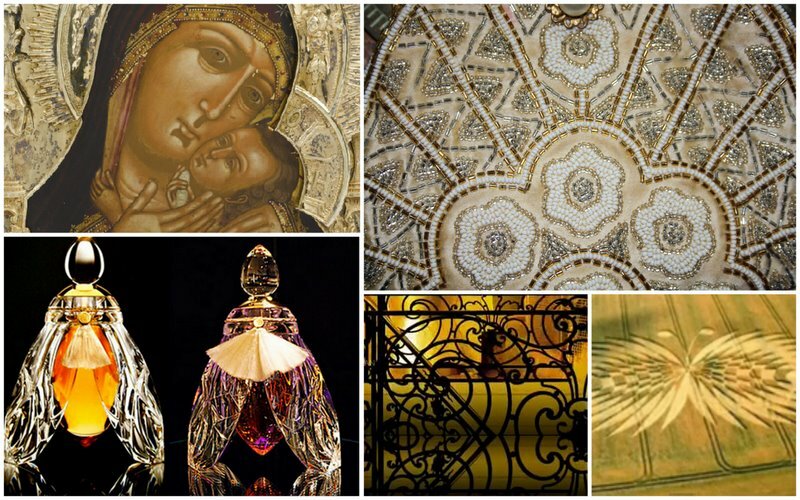 Mother Mary & Baby Jesus...and some hand beading..
Can you guess what I am creating? Breathtakingly Beautiful. Colors so rich and the sparkle of jewels. Such lovely patterns. A post of amazing beauty.